A survey by Deloitte reports that 92% of organizations are either preparing or have already switched to cloud-based SaaS. With the current rate of transformation, the applications in 73% of companies will be running entirely on SaaS by 2020. These overwhelming statistics of cloud adoption are results of the remarkable on-demand economic boom. Although businesses in every industry are reaping the benefits of SaaS, yet taxi, courier, and transportation industries are some of the primary beneficiaries. 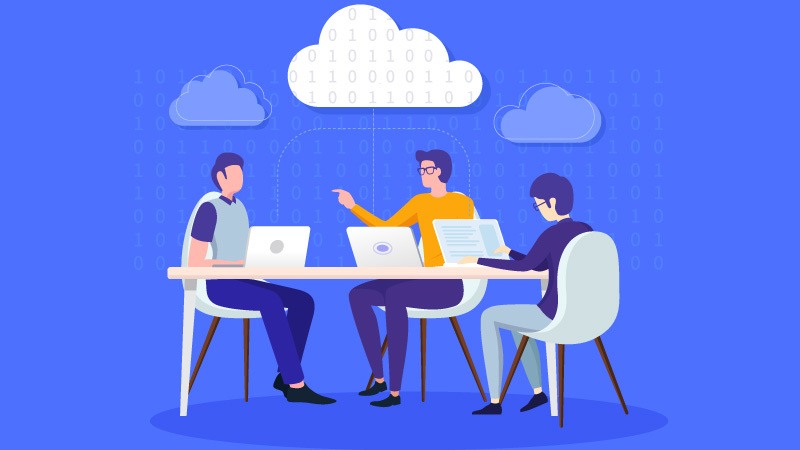 Given the significance of cloud-based Software-as-a-Service (SaaS), it is essential for new entrepreneurs to learn about an otherwise well-known model. Software-as-a-Service is a replacement of the traditional approach of using on-premises software. The system resides at a remotely located server and customers can access it through the web. It provides the same services as an on-site system with incredibly higher efficiency and lesser costs. How to Optimize Business with Cloud-based SaaS Model? Being an owner of taxi service or another means of transportation, one of your biggest challenges is to outperform competitors. Switching to a cloud-based platform is the most significant milestone while realigning on the road to business optimization. SaaS solutions optimize transportation and fleet businesses in the following ways. Before SaaS, it is wise to assess the cost of on-premises software for comparison. The owners have to bear the costs of installation, deployment, configuration, and maintenance (IDCM). Besides, companies have to keep on-site servers and data centers. The cost this entire infrastructure multiplies each time an owner deploys same services at another location. Incorporating cloud-based services brings a remarkable reduction in costs. There are no IDCM overheads because the responsibility for these tasks rests with service providers. In fact, one does not install a SaaS at all on native computers. Instead, software remains at vendor’s site, and customer acquires only the relevant part of software. Vendors configure and update software with appropriate patches, plugins, and functionality. Moreover, companies do not need to add hardware including servers and their maintenance staff when scaling up to multiple sites. They can share the same SaaS solutions on new sites too. Purchasing software which would be used for a limited period is an inefficient approach. There are no or little licensing costs in cloud-based SaaS because the clients are only acquiring software for a limited time. Out of the 92% organizations reported by Deloitte, 63% want to switch to SaaS to improve marketing speed. Moreover, 56% of the total surveyed companies want to incorporate SaaS for improved performance. Acquiring SaaS enhances performance by eliminating the deployment and hardware procurement time. Cloud-based SaaS applications are turnkey systems which require no further on-site configuration. Customers can use it almost immediately after making the requisite payments. Owners do not have to update business infrastructure every time when the number of users grows to limit. Instead, they can easily scale up. There are frequently occurring cases with on-premises approach when hardware is either incompatible or insufficient to run the software. In such cases, the progress stops or slows down unless hardware devices are replaced with effective ones. Cloud software services take the least of on-premises hardware and most of the network capacity. In terms of transportation, organizations can streamline the process of booking, agent tracking, route finding, and communications. They can increase the number of drivers and ensure seamless performance during times of peak requests. Cloud-based systems have the easiest deployment schemes. A user gets access to software as soon as one fulfills subscription requirement. Moreover, many owners of cloud companies provide the facility to rebrand software with organization’s name. For instance, CabStartup offers comprehensive cloud-based dispatch solution which allows transport owners to customize it as per their business needs. Most of the business owners are reluctant to incorporate new technologies in fear of unproductive results. It makes sense because a substantial proportion of companies fail to redesign their architecture with improved infrastructure effectively. With cloud-based SaaS, business owners can evaluate the effectiveness of software upfront. CabStartup allows customers to use its dispatch solution as a free trial before subscription. This ability boosts the confidence of customers to purchase the subscription if software efficiency is up to the mark. There is no need to have a tech-savvy system administrator for upgrading the software. Cloud-based SaaS companies run the update when one is available. This process does not halt the business operation of taxi services. In contrast, a traditional model requires setting up an environment which should be compatible with the new upgrade. Maintenance and flexibility in traditional businesses are two of the chief causes of hidden costs. Lack of software efficiency provides another instance which surges undeclared costs. The presence of SaaS in cloud-based environment allows integration with other software systems too. With an increasing number of users, taxi companies have to increase the number of drivers too. Owners can ensure this augmentation merely by updating their package so that they can get more server capacity. One significant benefit of cloud-based SaaS platform is the access to advanced technologies. Whatever the subscription be, companies usually offer the latest versions of software. This is not the case with on-premises software. A version released in 2019 is likely to be far more expensive than the one released five years back. CabStartup also ensures that its customers use the most up-to-date and tested version cloud-based solution. It would be unwise to use an older version with limited capabilities despite the availability of a newer version at the same cost. The growing need for SaaS pushed CabStartup executives to assist taxi and transport business owners in transforming their enterprise on a cloud-based SaaS. Today, taxi businesses in more than ten countries including the US use our software. Do you own a taxi, courier or other form of transport business too? Start the free trial right now to test our comprehensively built cloud-based SaaS.